Perhaps by now, you’ve discovered this truth: Writing a book is, basically, a commitment between two covers. And writers? We’re human beings like anybody else. Entirely prone to running the opposite direction when a commitment looms on the horizon. Commitment-phobia comes down to telling ourselves big, scary stories. Sometimes the stories are unconscious, and other times we can point right to them. But they all do the same thing: Stop progress in its tracks. We tell ourselves our book must be the great American novel (or memoir). This, in spite of the fact that we’ve never before written anything longer than a Facebook post. We set goals that are out of reach for mere mortals, like deciding our book will only be a success if we hit the New York Times bestseller list. The truth about bestseller lists is that they are random and massively favor books by authors who are already bestsellers. If this is the only measure of success in your own mind, I’d suggest finding another hobby. In other words, we bite off wayyyy more than we can chew. Then we procrastinate the heck out of our writing time, because we’re scared we won’t meet our own sky-high expectations. Finally, we drop the whole project. When we do this, we’re emulating that perennial bachelor friend we all have. You know, the one who’s constantly skipping from one girlfriend to the next, because he’s looking for The Perfect Wife? He freaks himself out with his own expectations, and as a result he can’t even enjoy a first date. What purpose does this strange behavior serve? Why, to keep him out of relationship altogether! The surprising truth is that what looks like one single mammoth commitment—writing a book—is actually made up of a million tiny commitments, taken day after day. 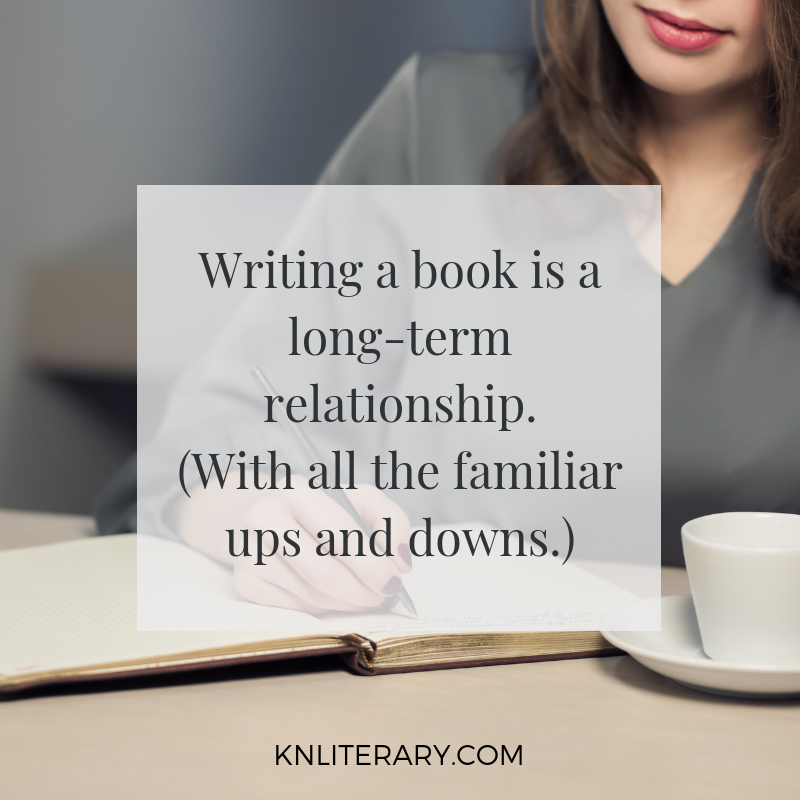 Writing a book is a long-term relationship. (Tweet it!) With all the classic ups and downs. So what’s a commitment-phobic writer to do? The answer is simple: Break the mammoth job down into micro-commitments. Think of a micro-commitment as a tiny good decision. One little action or change of heart. It doesn’t look like much now, but if you stick to it, your writing life will completely change. If you make one of these tiny commitments each day, you’ll be surprised how quickly an entire book will come together. it may never happen at all. That’s why below I’m offering you a list of 21 micro-commitments I believe will get you on your way. Read through this list and consider replacing your massive, insane, scary goal with one or two of these. Life is asking for your hand in marriage. And great marriages happen one day at a time. Why not start now? 1. I commit to letting go of any expectation other than sitting down to write—and enjoying the process. 2. Further to #1, I commit to writing a little something, every day, most days of the week. 4. I also commit to reading a little something, every day, for inspiration and a reminder of why I’m writing. 5. I commit to keeping my writing dates with myself, and rescheduling them when I miss one. 8. I commit to using a writing prompt if I feel stuck about what to write. 9. I commit to not editing my writing until I’ve finished a first draft. 10. I commit to setting myself up well by crafting an outline before I begin—or retroactively creating one, if I’ve already started writing. 11. I commit to finding a coach or writing buddy to cheer me on. 12. If I learn best in groups, I commit to finding a writing circle or class to support me. 16. I commit to keeping my writing private until I’m sure I can handle any response I might receive, without getting discouraged. 17. If and when I’m ready to share my early writing, I commit to only showing it to my most supportive allies. 18. I commit to expecting progress, not perfection, on my book journey. 19. I commit to forgiving myself and getting back to my writing desk—as many times as it takes. Infinite do-overs, forever. 20. I commit to walking my writing dream step by step, one writing session at a time. No expectations of massive leaps, here. 21. I commit to reminding myself once a day, “As long as I’m writing I am a writer.” And then get back to writing. So grateful for your words. Yes, I remember now, no pressure, no judgement. Amen! Happy to help, Emma! Thank you so much for writing! Thanks Ramona, I’m glad you liked them! Thank you! This is is helpful! 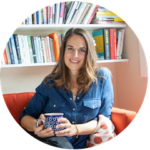 Do you recommend or work with any writing coaches for those who are still in the trenches? Your book “The Book You Were Born to Write” said to write every day. When I got to this part, I stopped and wrote for 20 minutes. Thank you for the little push! Thank you so much for your continued support. I, finally, found an outline that fits my book. What a relief! It’s making it so much easier. Awesome Serena! I’m so happy to hear it!!!! It makes all the difference to have the right outline, no? Love to you! Such a generous, wonderful post Kelly.